The Stranger Things season 3 trailer is everything we hoped for. The Stranger Things season 3 trailer has just dropped and we have... questions. The Stranger Things season 3 trailer is here and it’s making us feel all the things. Eleven with hair, Dacre Montgomery’s bare pecks, Steve in a boy sailor outfit, Winona Ryder holding a fork in a way we’ve never seen a fork held before… it has it all. …Almost enough to excuse the fact that we’ve been waiting approximately 800 years for it to drop (we repeat: almost). Behold, and welcome to having The Who’s Baba O’Riley stuck in your head for the rest of the week. Watch the Stranger Things season 3 trailer here. Post continues after. 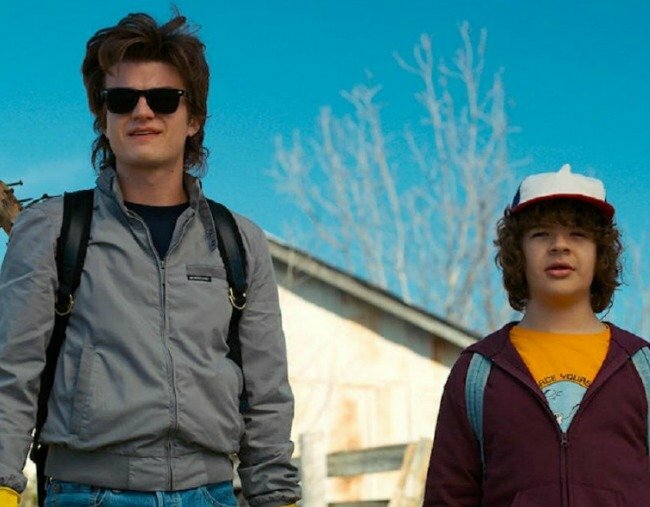 Now, other than the very cute and fun summer of 1985 vibes that have succeeded in perking up our dreary Thursday, the trailer has left us with questions, because as Stranger Things fans know, there’s much more to the little town of Hawkins than meets the eye. 1. What is Max’s brother Billy up to? Aside from his… face, Billy, played by Aussie Dacre Montgomery, didn’t give us much to like about him last season. Violently harassing Steve Harrington and his younger sister Max? Not on, Billy. But Billy’s mean, not evil, right? Right?? Well, in a blink-and-you’ll-miss-it moment in the trailer, it looks like Billy will be infected somehow by the Upside Down, which smells like bad news given his already violent tendencies. During a couple of shots set during a shower scene, Billy notices a huge black mark on his arm and it looks ominous. 2. Is Steve still Hawkins’ best babysitter? 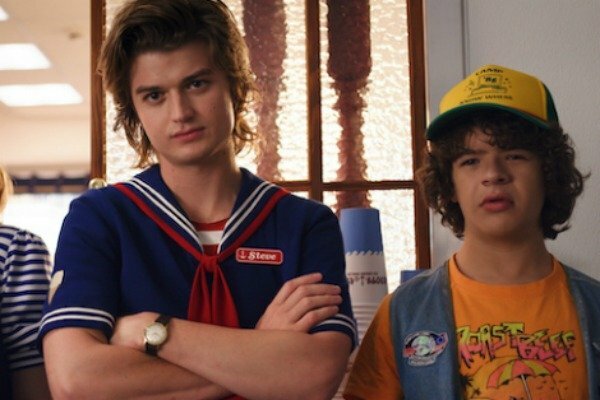 Last season, when Nancy and Steve went their separate ways, leaving her to pursue Jonathon, Steve enthusiastically accepted his official new role as the best babysitter in Hawkins, thus becoming our unlikely favourite character. This season, it looks like his big-bro camaraderie with the gang – specifically Dustin, to whom he’s been busy sharing hair tips with, continues to adorable effect, with a very sweet diner scene featuring in the trailer. Name a more iconic duo (we&apos;ll wait). We&apos;re here for this, and we hope and pray nothing happens to him. 3. WHO THE HELL re-opened the gate to the Upside Down? And do they live in a tent? Pls, keep the door shut. Eleven (Millie Bobby Brown) closing the gate in season 2 brought a comforting end to the passageway through which the terrifying monsters could stage a Hawkins takeover. But, with the season closing to the monster hovering above The Upside Down version of the high school, we knew the peace would be short-lived. We think it could be Billy who finds himself infected by the monsters lurking within, now that Will Byers is (seemingly) cured from his possession by the Mind Flayer. So either; Billy makes his way into the Upside Down, or something from the Upside Down makes its way out... And given the Department of Energy have essentially been chased out of Hawkins, we want to know how. 4. Are Nancy and Jonathan together? After Nancy and Jonathan crossed paths with conspiracy theorist Murray Bauman in season 2 whilst attempting to expose the Hawkins National Laboratory, it comes as no surprise the teens seem to be pursing careers in the journalism game at the local paper, as seen in the trailer. But what we really want to know is: are they still banging? Things look a little... tense between them in the snippet, but then again that is Jonathan&apos;s general demeanour, so who knows ¯\_(ツ)_/¯ . 5. What will be the Big Bad? Judging by the trailer, the Big Bad of season 3 seems like it will be the giant, shadowy creature the kids refer to as the Mind Flayer. BUT, there could be another invader, not seen in the trailer at all. Curious. Remember the "Demodog" Dustin and Steve stuffed in Joyce’s fridge with the family&apos;s groceries? The creature, interestingly, didn’t get another mention in the “One Month Later” montage of last season, so could the frozen critter make another appearance? 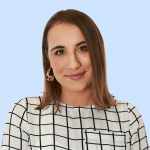 It is all VERY exciting, and the fact that it drops on Netflix on July 4, a time when the weather makes us increasingly reluctant to socialise outside of our own homes?